Dhaka, 10 Mar, Abnews: Ailing actor Irrfan Khan's wife says her partner is facing his health scare, a "rare disease", like a "warrior". 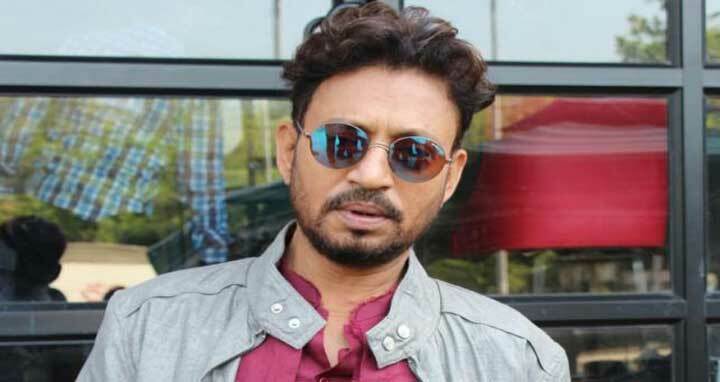 Producer Sutapa Sikdar, days after Irrfan revealed that his life has been jolted with a rare disease, took to Facebook to share her sentiments and thanked their well-wishes for their support. Like Irrfan, she too has urged people not to speculate about his condition. "My best friend and my partner is a ‘warrior'. He is fighting every obstacle with tremendous grace and beauty... I want all of you to know I am truly humbled indebted for ever for the wishes prayers and concern from all over the world," Sutapa wrote. "I'm grateful to God and my partner for making me a warrior too. I am at present focused in the strategies of the battlefield which I have to conquer. It wasn't and isn't and is not going to be easy but the hope ignited by the magnitude of family, friends and fans of Irrfan has made me only optimistic and almost sure of the victory," she added. Various media reports have been speculating over the medical condition that has struck Irrfan. Sutapa said: "I know curiosity germinates from concern but let us turn our curiosity from what it is to what it should be. Let us change the leaf. Let us not waste our precious energies to only know what it is and just pray to make it what it should be. "My humble request to all of you is to concentrate on the song of life, to dance of life to victory. My family will soon join in this dance of life." Irrfan, in an earlier statement, had said he will reveal about his illness himself when there's a "conclusive diagnosis".